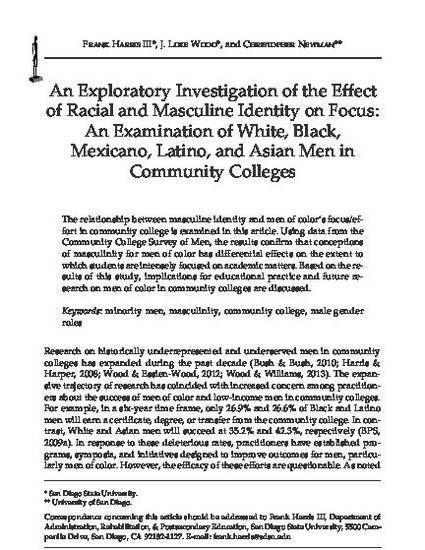 The relationship between masculine identity and men of color’s focus/effort in community college is examined in this article. Using data from the Community College Survey of Men, the results confirm that conceptions of masculinity for men of color have differential effects on the extent to which students are intensely focused on academic matters. Based on the results of this study, implications for educational practice and future research on men of color in community colleges are discussed.